This 'Alantoíne' hand cream is moisturizing, antiseptic and protective. It leaves the hands soft and supple and has a wonderful citrus scent which is both refreshing and stimulating. 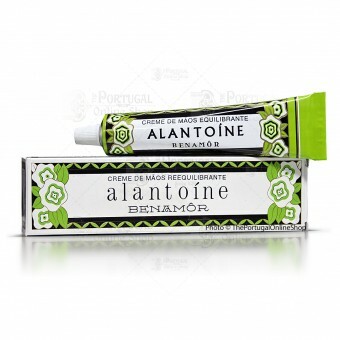 Specially useful for dry and harsh skin, and also for removing and smoothing black marks and blemishes. 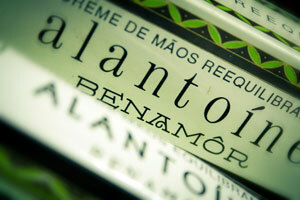 This is produced by a well known Portuguese factory, Nally which launched the range of 'Benamor' creams in 1928. Since then it has been among the lotions and creams of choice for it's loyal customers, such as Queen Amélia, Salazar and newer ones such as holywood star Nicholas Cage, Oprah and others. Parfait ! Crème très hydratante et non grasse.